Prospects of oil could change SA's economy: Mantashe - SABC News - Breaking news, special reports, world, business, sport coverage of all South African current events. Africa's news leader. The world could have a new source of fuel, off the Southern Cape coast of South Africa. Minister of Mineral Resources Gwede Mantashe says the prospects of oil could change the South African economy. 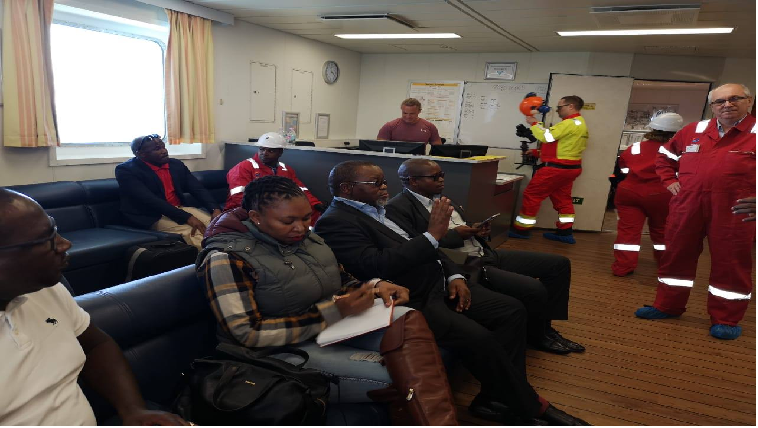 He visited the Total Oil Exploration Drill, about 180km offshore from Mossel Bay. The world could have a new source of fuel, off the Southern Cape coast of South Africa. The Deep-sea Stavanger has been drilling the ocean floor for the past two months. Located in the Southern Outeniqua deep water basin, the Brulpadda field could deliver billions of barrels of oil. This entry was posted on 03 Feb 2019,08:44AM at 8:44 AM and is filed under Business, Homepage Latest Stories Slider, Homepage Featured Story Slider. You can follow any responses to this entry through the RSS 2.0 feed. Both comments and pings are currently closed.